Hello Freebie Friday, I’m sorry I’m late today . . . but I still have a great prize from a great sponsor today! Hero Arts send me this blurb about their company. I’ll let them speak for themselves . . .
We do it for the love of stamping. Start to finish, Hero Arts products are made by hand with love and precision. 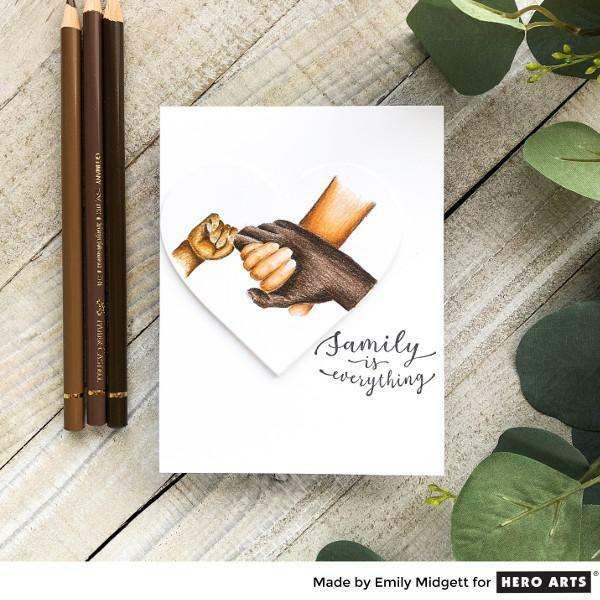 From selecting the finest, sustainable maple woods, to crafting the intricate molds, to patiently trimming the rubber, Hero Arts has made stamping supplies for papercrafters for over 40 years. Started as a family business, Hero Arts remains true to its innovative spirit. 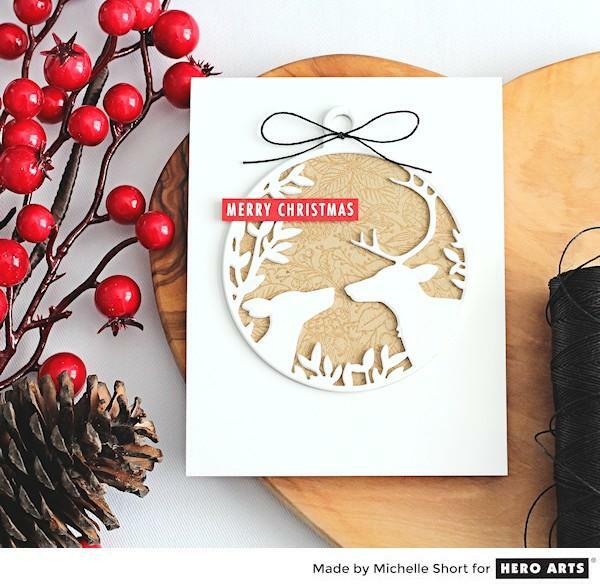 Today is focused on trendy design, earth-friendly manufacturing, a rich community of stampers, a family-oriented focus on independent retailers, and a desire to share and inspire creativity. 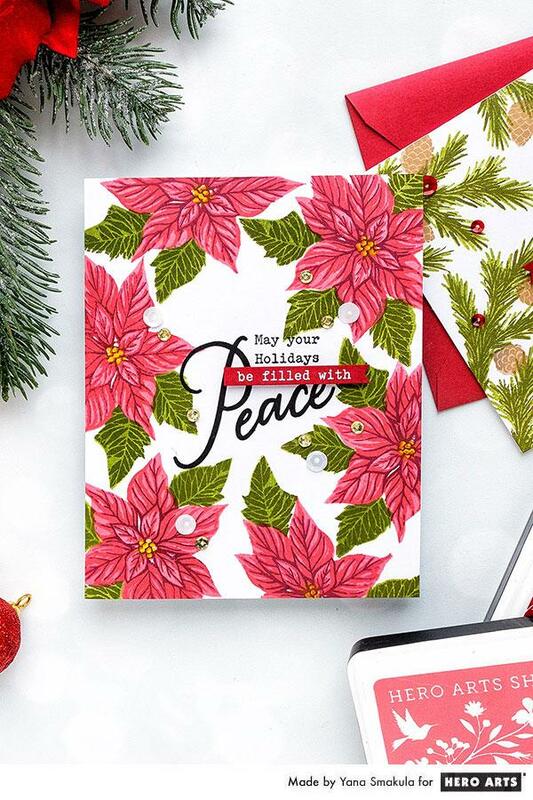 Our product line includes classic red rubber woodblock stamps, photo-polymer clear stamps, innovative dies, inks, stencils, and embellishments. Popular product lines include our Color Layering stamps, Ombre ink pads, and Liquid Watercolors. Hero Arts is a Certified Green Business and an award-winning sustainability leader. We have won awards in our city, county, and state (the most prestigious award available). Here are some of the ways we focus on only the best quality stamping products while reducing our business impact on Mother Earth. We have eliminated all toxins, chemicals, and solvents from our processes over the years. Our manufacturing facility gets 80% of its energy from the sun — from a 68-kW solar array installed in 2004. The other 20% we off-set with wind power. We have set aggressive company-wide goals to further reduce packaging, waste, and energy consumption. We ask all of our suppliers to take a Green Pledge, encouraging them to implement green policies in their own operations. Of the approximately 2,000 active stamps we currently sell, more than 90% are made by hand in our very own family-owned, US-based facilities or in the US facilities of our trusted partners. Wood Block sets (multiple stamps in a box) in some cases are made by the best overseas craftsman available. For our wood stamps that we make, we use only North American honey white maple wood blocks from FSC-certified, sustainably managed forests. For our clear stamps, we use premium American-made photo-polymer, which is non-toxic, biodegradable and phthalate-free. Photo-polymer is specifically engineered to conduct ink, stamp with precision, and last a long time, unlike other materials used by some of our competitors, most of which is a by-product of the medical industry, and neither stamps cleanly or lasts beyond a few uses. For our cling and wood stamps that we make, we use only 100% all-natural rubber that comes from sustainably managed forests. Rubber, like maple syrup, is produced from the sap of the tree, and thus the trees are unharmed and can continue their natural process of sequestering carbon. 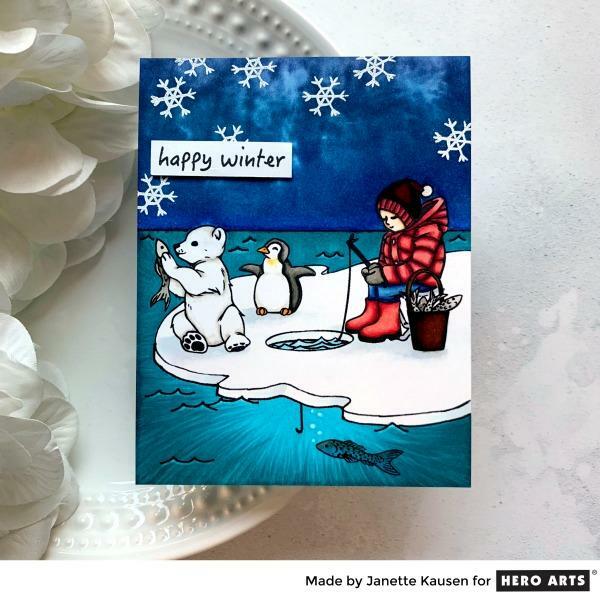 Did you know that Hero Arts has a monthly kit club? The My Monthly Hero kit launches on the first Monday of every month. This wildly popular curated box is available for purchase individually or as a subscription. It’s available for a limited time only, once it’s gone, that’s it! An assortment of complementary new products are released along with the kit each month. Take a look here to see the latest news. 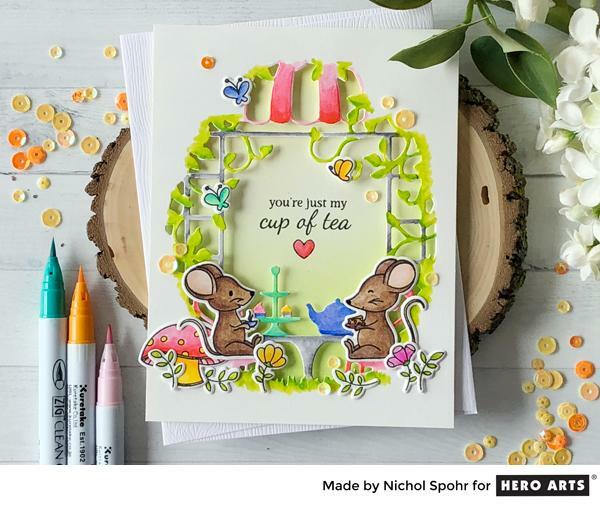 Take a look at these projects made with Hero Arts products! Check out this generous prize from Hero Arts! 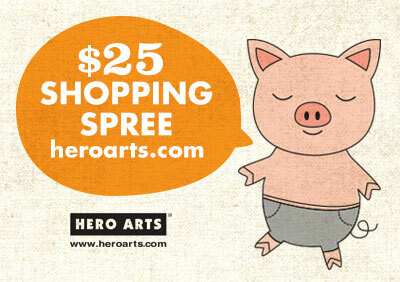 Two people will win a $25 Shopping Spree on the Hero Arts website! 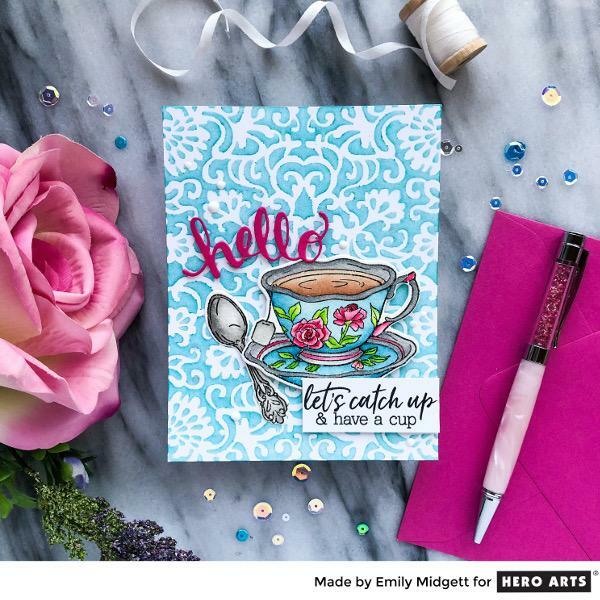 Take a look at the Hero Arts social media channels and let them know that Stamp & Scrapbook Expo sent you! You’ll find TONS of inspiration there. Last week Pinkfresh Studio sponsored our Freebie Friday giveaway. The winner of that prize is…..
Congratulations! Please email diana@scrapbookexpo.com with “Pink Fresh Studio Freebie Friday Winner” in the subject line. This entry was posted in Blog, Freebie Friday and tagged Dies, embellisments, Hero Arts, inks, liquid watercolors, monthly kit club, ombre ink pads, photopolymer clear stamps, red rubber woodblock stamps, shopping spree, Stamps, Stencils. I love your stamps but love even more your ‘green’ practices. Thank you! A chance to win a Hero Arts prize, the best! Such nice cards for inspiration. I have always really loved Hero Arts. Their stamps are the ones that really got me going in the card making world. Thanks for offering up a prize from them. I love your stamps and that most are made in the USA! I have been using you stamps for over 20 years. Love the green factor of your business! I didn’t realize all that went into it, Thank you! 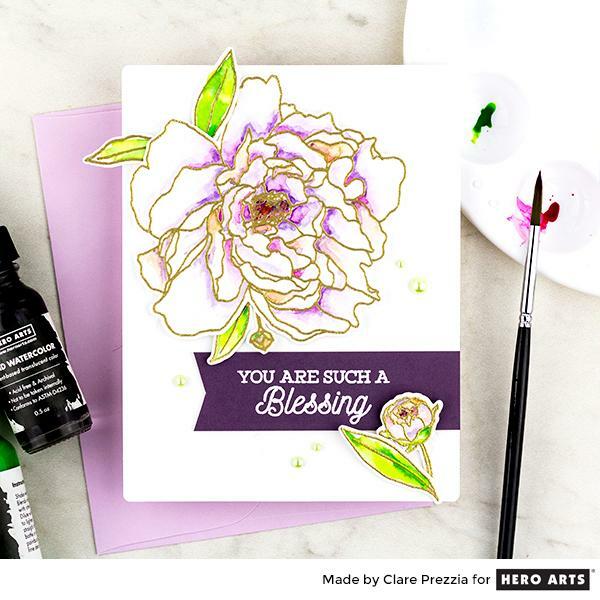 Hero Arts–such a wonderful company with beautiful stamps and products! Thanks for the chance to win!! Such amazing stamps love them all can’t wait to get my hands on some. Love knowing they are a green company. I love hero arts stamps!!! So glad to know how environmentally conscious Hero Arts is. I respect that in a company. I love how green your company is! Have loved Hero Arts for so many years, great company. Love Hero Arts — beautiful stamps. Thank you for this opportunity!